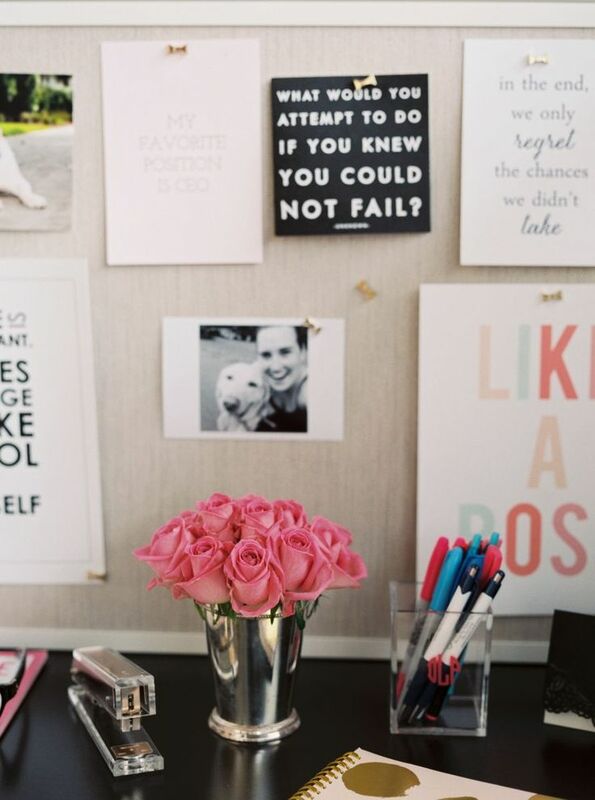 My Top Tips to keeping your office space inspiring all year round! 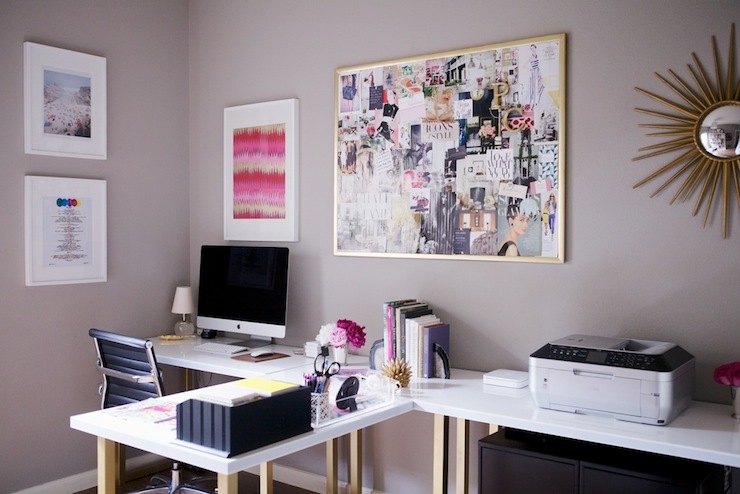 9 inspiring home offices to re-vamp your Boss Chic Work Space! Some times in order for you to be a serious about your work , you need a serious space to work in . You may not have your own home office or external office, however you can still get into Boss mode by re-vamping your desk where ever it may be. 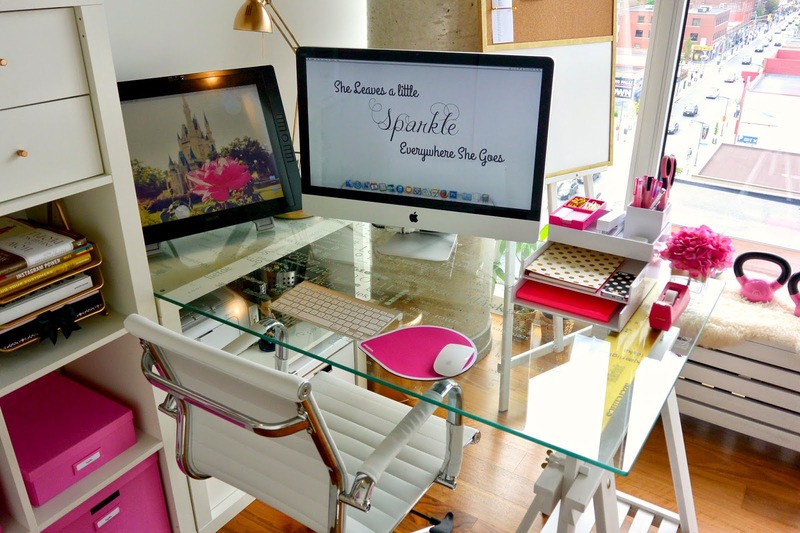 Here are some office space and desk examples to get you in the work spirit. However you choose to represent this , its your call . I feel that without a source of daily inspiration, you can loose your vision really quickly. whether its printed quotes, hand written in your diary or just printed instagram images, keep your quotes close to keep your vision closer! Sometimes a little monochrome heaven can become a little excessive, you don’t realize that by lacking colour in your workspace can seriously hinder your creativity! . Even if its something small like a pen storage holder, keep the colour near by. I think it’s a given that having goregous paintings and photos surrounding you really get you in the calmed state you need to be in when working . HOWEVER if you are in a small space like this (above) you have to improvise! . Try a digital picture frame! you can have all the images you want on constant rotation AND the freedom of changing the images whenever you want . It’s a win win! No seriously you need to have something in place to collect what you want to achieve and have achieved in life. I do a vision board every year and make a party out of it . I get together with a few family members and we have a major vision evening! printing, sticking , pinning , Visualizing and of course Netflix & Cocktails! This may not seem like a big deal but it really is! A well lit, bright , natural filled light room will give you a serious brain boost! It will wake you up from your “Im so exhausted and want to go back to bed” mood, and put you into a “I’m up and ready to get this work done , no problem” kind of mood ! Think about it next time you choose to work at night , you will get only half done what you planned to do in comparison to working in the daytime! You may not see the importance of this but it’s probably the most important thing in an office. If your working for hours you need to do in comfort. You need that “i’m totally comfortable to sit in this chair for hours, but not comfortable enough to fall asleep and take a nap in ” kind of chair ! Your kitchen chair wont cut it! That is it Boss Chics! I hope I have inspired you to keep your office space in tact! What are your top tips for staying in work mode? Leave a comment down below and let’s chat! BE ON MY VIP LIST | Exclusive freebies and monthly newsletter!